The Institute of Health Science (IHS) was established in April 1, 1978 by combining the Department of Health and Physical Education in the College of General Education and the University Health Center. 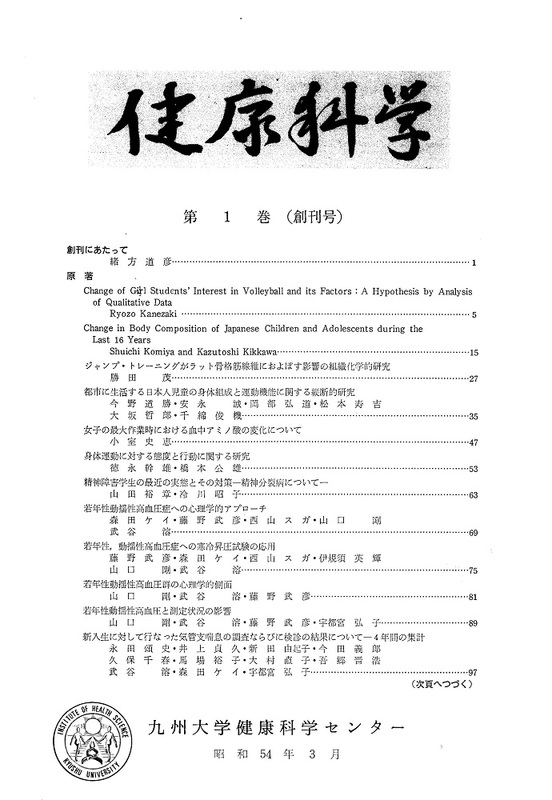 This journal is integrating and taking over "Research of Physical Education, Kyushu University" and "Bulletin of Kyushu University Health Center". It aims to turn IHS over new leaf for addressing the comprehensive issues about human health more widely and deeply, living up to the principle of establishment of IHS.